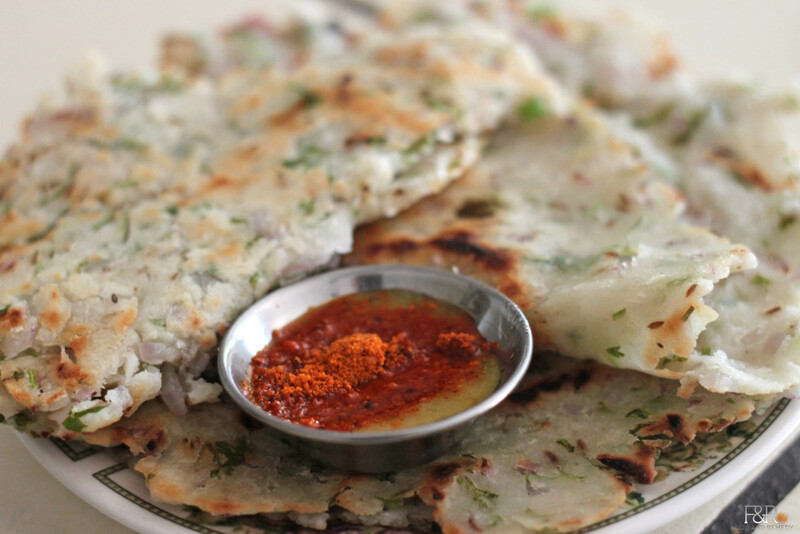 Akki rotti is the delicacy of karnataka. There are varieties of akki rotti. And this akki rotti is a gluten free food. In a large bowl, add all ingredients ( except oil) and mix. Now slowly add water and mix the ingredients until you get a soft dough. First, add a spoon of oil on the skillet and spread it around. Place the dough in the centre and press it gently to make a thin circle. ( If the dough is sticking to the hand, wet the hand and then press). Now make a hole in the center and few more around. Pour the oil in the hole and around the edges too. Cover this rotti with a lid and place the skillet on the stove on a medium high heat. Once it becomes golden brown remove out the rotti (Usually takes 6 minutes). Serve hot with ghee, coconut chutney or chutney powder.